In the second decade of the 20th century, major world events resonate even on secluded Stone Mountain where Bessie Elliott lives with her husband Fletcher. There’s a great war, one that takes away many young men, including Bessie’s kin, some never to return. Bessie’s role of healer intensifies as she treats those suffering from the Spanish flu and tries to keep it from spreading further on her mountain. She defends a young woman who is in the middle of a controversy that threatens to tear their peaceful community apart. And she finds herself involved in the Suffragette movement as the women of North Carolina fight to gain their rights under the constitution. Then when one of her family members makes an appalling decision, one that has the potential to damage a child, Bessie impulsively steps in to right the wrong. As always, this one is for our dad, John Tillery, who continues to share his “Aunt Bessie and Uncle Fletch” stories with us. We areblessed to have you, Daddy, and we love you very much! And, of course, to our great-aunt Bessie and our great-uncle Fletcher who lived the stories and were kind enough to share their hearts and home with our dad. 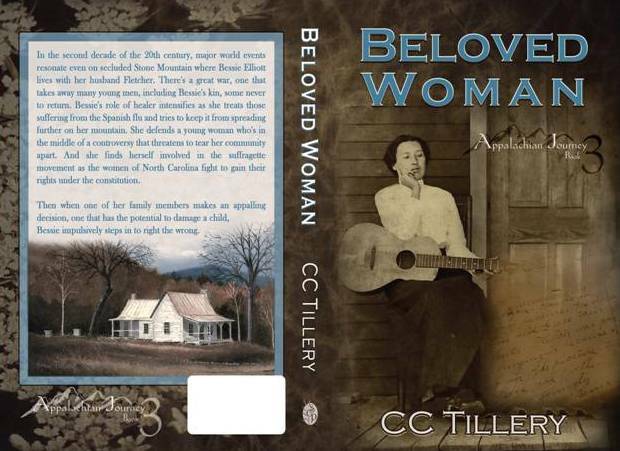 The title of Beloved Woman comes from the story of Nan’yehi, a Cherokee woman who earned the honored Cherokee title of Ghigau. Ghigau is the highest distinction given to a Cherokee woman and carries with it great responsibility, as well as immense respect from the tribe. Nan’yehi was first honored as a “War Woman” at a very young age when she took up her husband’s weapon after he was killed in battle and continued fighting the enemy. She was given the right to sit on the War Council, made a leader of the Woman’s Council, and granted a power even the Cheifs didn’t have, the right to determine the fate of captives. After many years as a respected “War Woman” she was given the title of Ghigau, or Beloved Woman. In that capacity, she continued with her duties as a War Woman and also served as a peace negotiator between the Cherokee and the white settlers, as well as with other tribes. To find out more about Nan’yehi’s story, please visit http://www.nanyehi.com. Our dad, Raymond Earl “John” Tillery, for the many stories he has told us over the years. He is the primary reason we decided to write about our great-aunt Bessie and great-uncle Fletcher and we can on hope we’re doing his fascinating stories justice. Our Great-aunt Bessie and Great-uncle Fletcher who lived the lives we’re writing about. Although we didn’t know them long, we feel we’ve somehow grown closer to them as we write these stories and sincerely hope they’re enjoying it as much as we are. Our cousin, Jackie Burgin Painter, renowned historical author for her book “The German Invasion of Western North Carolina, A Pictorial History.” Thanks again, Jackie, your books are solid gold to us! Our cover designer, Kimberly Maxwell, for the hours of hard work that resulted in our beautiful cover. Your talent and creativity are nothing short of amazing! Our husbands, Mike Hodges and Steve French, whoe, once again, successfully navigated the sometimes precarious path of being married to an author. Thanks for understnading our need for “alone time” when the writing muse calls. We love you guys! Last, but certainly not in any way least, we’d like to thank our readers who are such an inspiration to us each and every single day. Thanks for the encouragement, support, and lovely comments on our blog and Facebook page. In turns, you’ve brought us laughter, tears (of joy), and tons of motivation to continue telling the story of our amazing great aunt and uncle. We can never thank you enough! “Medicine of the Cherokee, The Way of Right Relationship” by J. T. Garrett and Michael Garrett. Person Field Guides “Eastern/Central Medicinal Plants and Herbs” by Steven Foster and James A. Duke. 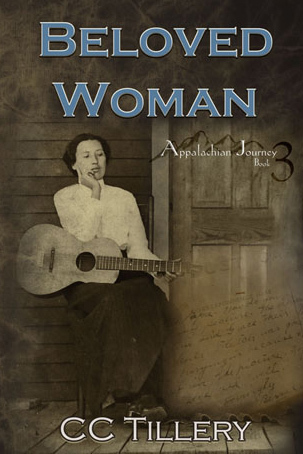 And finally, a special note to the family members we’ve connected with on the Internet and via e-mail: the stories we have used in the Appalachian Journey series are stories we’ve heard from our dad, Uncle Ken, and in a few cases, directly from Aunt Bessie herself. We have done our best to stay true to the telin but, in some cases, we took the liberty of changing the scene, character, and/or the time in order to help the story flow. We have, in Beloved Woman, made our dad about ten years older than he actualy is (sorry, Daddy!) and we’ve placed historical figures in places we can’t know for sure they actuallly were. We also, in the case of a couple of members of our family who don’t come out looking very good, told the stories as we heard them without glossing over the truth to make those family members look better. We apologize if we’ve offended any descendents of the Elliott or Daniels family. Her face looked like nine days of bad weather.